Scape presents Museum of Horrors 2014, transforming Scape The Ground Theatre into a menacing maze. The trail takes about 10-15 minutes (for the faster walkers) and 20 minutes or longer if you are going to lurk a little longer in the premise. Scares come from almost every unexpected turns and be prepared to be shocked by the accompanying sound effects. Museum of Horrors also hopped onto the 3D bandwagon, offering a segment where pretty neon colours are elusive and distorts your sense of reality. 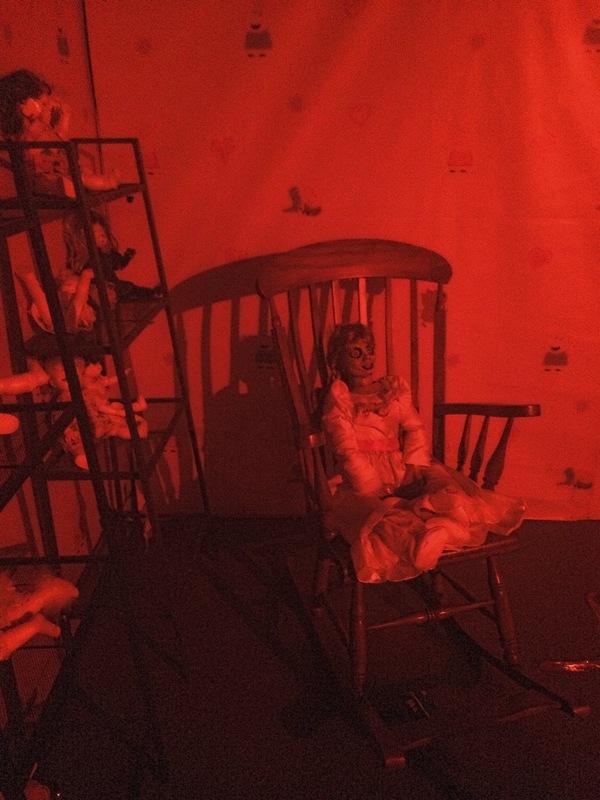 The sets are pretty, the screams are piercing and terrifying in the dark, and you will have a great time with friends for the price you pay. To find out more, you can explore the official hashtag #MOH2014. 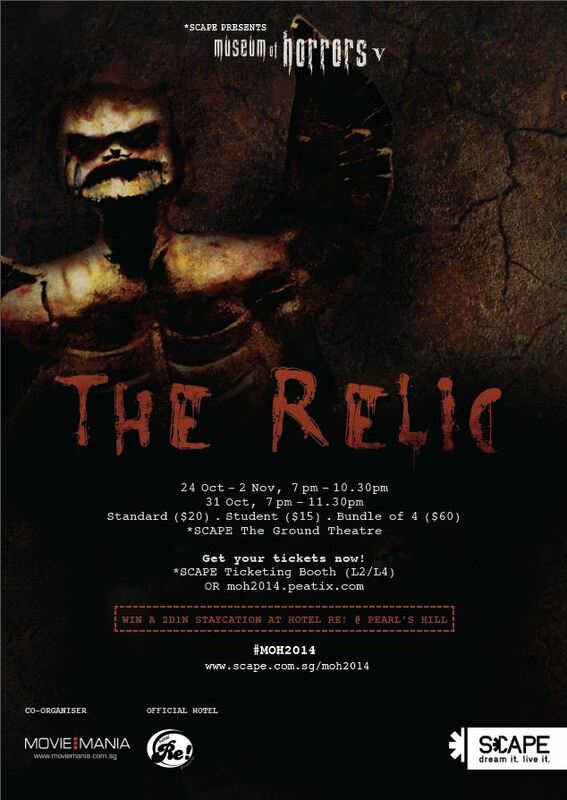 Museum of Horrors: The Relic at Scape is happening now till 2 November 2014, at standard $20 and student $15. Booking online gives you the advantage to enjoy 25% off standard ticket prices with promotional codes from bloggers! Have a great Halloween and scream to your heart’s content! Next Post [Review] Are You Frozen Yet?